Penny University Coding Group founder Heather Sticka came to me with a problem. 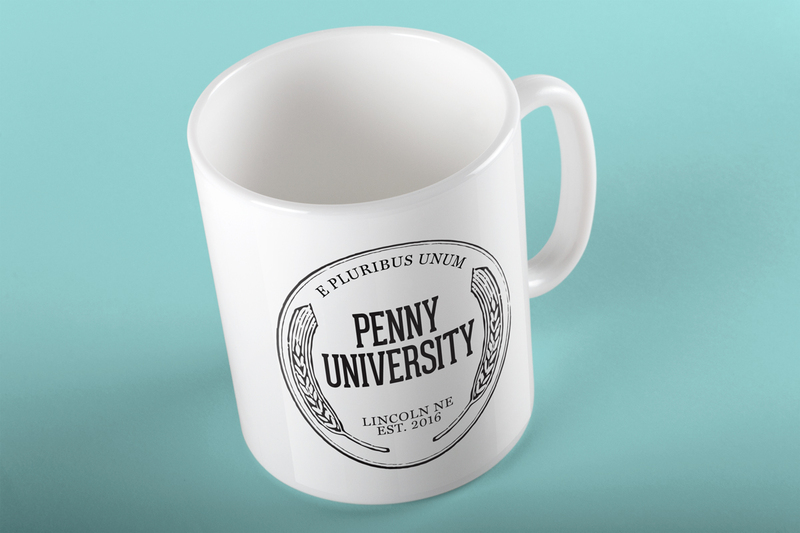 Penny University Coding Group is a start-up educational non-profit. It’s a free group that meets once a week and brings together people who know with people who want to learn. I created a design based on the old “wheat back” pennies, and used the Latin phrase “e pluribus unum” to signify the group’s inclusiveness.